Funding a guild through membership dues, fundraising and grants is essential to keep the organization running, and vital for protecting the state’s brewing community. To help keep dues low, guilds often pursue multiple funding sources. These may include state grants that are available for groups promoting in-state products or tourism, beer festivals or hosting other events. We add ideas as they come, and always ask that if you have an idea not represented here, please share! Also, obligatory disclaimer: be aware of the state laws – some of these ideas may not be legal in your state. Festivals: This is the largest earning source for many guilds. Unfortunately, if not done successfully, it can leave the guild in bankruptcy. Read more on our Festival Checklist, below. One great model is Washington where they have 6 regional festivals (instead of one state fest), engaging brewers & enthusiasts in those regions. If the guild is not yet established enough host a festival, consider engaging festival promoters that are asking for beer donations – ask them to make a reciprocal donation to the non-profit guild, through a percent of ticket sales or profits, etc. Partnering with local chambers of commerce or other local government entities, or other nonprofits, has also been met with success for guild fundraising. Technical conferences: Specialist seminars supported by innovative and pioneering industry leaders undoubtedly stimulates development and success. Interesting and informative perspectives pollinate across the state’s expanding craft community, bringing about positive evolution to our great industry. Numerous states now host great technical conferences. The Michigan Brewers Guild has developed their annual conference into a high quality event, certainly an excellent example for other guilds to replicate. Guilds often charge two tiers of ticket prices – discounted prices for members, a higher price for non-members. Offering membership discounts provides tangible benefit to the breweries in the state, which in turn helps boost membership to the guild. Read more in the July/Aug 2012 New Brewer, page 17. Enthusiast membership – the general average is $25-35 per person. If you could get 200 members, at $30 each, that’s a good seed fund of $6k! Check out the S.N.O.B.s! Washington Brewers Guild had, in 2011, 1740 active WABL members! Festival membership – where festival promoters donate a % of ticket sales (or perhaps a dollar or a few from each ticket). In exchange, guilds will often commit a significant number of breweries at their state-wide festivals. Associate or Allied trade membership – distributors, equipment manufacturers, education, ingredients suppliers, manufacturing/tourism/restaurant associations, contract breweries, etc. Check out Oregon Brewers Guild’s roster. Multiple “Sell Sheets” are available on our Membership page for different types of benefits you can offer to this group of membership. Grants: Often from state departments – tourism, agriculture, etc… One state guild secured a grant for $40k from their Dept of Agriculture – they built marketing materials, trail map, logos, coasters, website, etc. Another brewers guild secures $75k each year from the department of tourism by demonstrating how much additional income their beer week brings in to local hotels & the region. They survey guests at the various events throughout the beer week. People who bought tickets online to the beer fest, events, or booked hotels through the guild website were surveyed upon checkout. By obtaining this generous grant, they have to show an ROI, which they accomplish mainly through those surveys. Guild Merchandise: this is more relevant for advanced guilds with many members & festivals, but this can be great for promotion and fundraising. Check out Michigan’s Gear! The MI Brewers Guild store, gear, and enthusiast memberships are managed by an outside source. “Meet the Brewer” events: Brewers are local heroes! Brewer dinners/tours/etc… Classy events within the brewery, to engage the super-enthusiast communities, sometimes including food or branded swag. Corporate sponsorship: Local beer bars/pubs, suppliers, liquor/beer & wine stores, brewers supply stores, etc. Suppliers love the opportunity to get in front of many potential accounts at once – annual meetings are a great place to get sponsorship. Offer a trade fair of sorts, or allow 10-15 minute demonstrations to the meeting attendees in exchange of a donation to the guild. 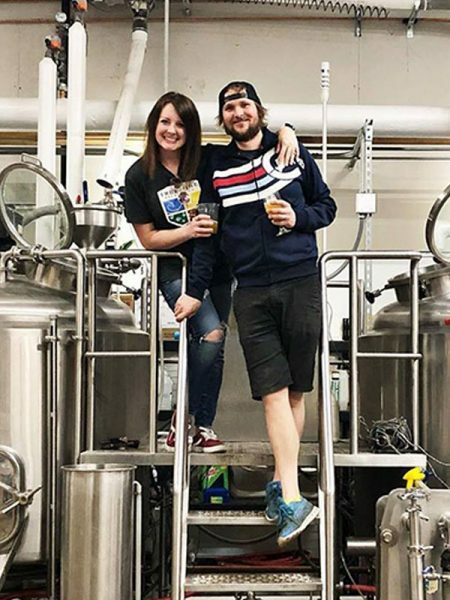 Collaboration Beers: A couple brewers in one state organized a collaboration brew specifically for fundraising for the guild: one brewer volunteered to brew & bottle, another hosted the beer & sold the 750ml bottles. About 35% of the proceeds go to the guild. They made about $12k from selling the bottles! Ohio orchestrated a 6 pack sampler for their guild – the Ohio Craft Brewers Association Collaboration Sampler. Wyoming brewers come together each year to produce a collaboration beer with all the state’s brewers! Tournaments: Dart throws, golf tournaments (mini golf in a production brewery with extra space or regular golf on a real course), beer-related Olympics (NO drinking competitions!). Chile cook-offs, dunk tanks, keg tosses, you name it. Creativity is your strength; the world of competition is your oyster. Humans, by nature, like to win. Brewery “Throwdowns” or taste-offs: Set up a betting tree for two brewery beer lineups. Eliminate beers in like-style taste-offs till you reach the champion. Host it at a non-biased beer bar, or other brewery, willing to play along. Donate a portion of those pint sales to the guild. Caveat: some guilds specifically avoid this, in order to not pit members (and their consumers) against each other. $1 a Brewer Fundraising Program: Similar to programs for other organizations promoted through grocery stores, retail outlets and the web, where a modest donation is added to the customer’s retail bill, this program can build brand awareness for participating guild members, the craft beer industry and the Guild. Beer Week: for the city or state. This is a massive undertaking, hundreds of events and dozens of organizers are often involved, with portions of the profits from each event benefiting the guild. If there is a major impact from the beer week on the local economy, the local department of tourism may be interested in providing a grant. American Craft Beer Week: This is an exciting opportunity for guilds to leverage our association’s massive efforts towards this national celebration. Promote guild member breweries by endorsing or organizing fundraising events during the “Mother of all Beer Weeks.” Learn more and encourage members to publish their events on the ACBW calendar on CraftBeer.com. Funding often starts with multiple levels of membership and dues. Dues for each class of membership are a subject of great debate among many guilds and associations. Dues need to be high enough to fund the activities of the organization, but not so high as to discourage membership. Remember, the more brewers involved in your guild, the stronger the collective voice will be. In a state where most breweries are the same size, a flat rate works and discourages isolating one or two larger brewers. But, in a state where businesses range from small brewpubs to large regional breweries, a sliding scale based on production is often used. Likewise, associate, retail and enthusiast level dues should be set to encourage participation. Resources: Dues/Membership – details on membership categories and dues averages across the nation. Guild-sponsored events are not a way to raise a lot of money immediately. However, they can be a part of your strategic funding plan to cultivate future fundraising and boost the profile of craft beer in your community. Once you’ve learned what works and what doesn’t in your state and carefully constructed of a strong event program, festivals commonly become a guild’s number one source of funding. Unfortunately, one bad event can raise red flags for craft breweries and our highly-regulated industry. Events involving alcohol of any type must be consciously planned and executed with the utmost competence, or the result could be detrimental. The checklist of best practices for hosting a major fundraising festival (below) was created by our award-winning events team and leaders from guilds nationwide. This document is not meant to be all-encompassing, but it is an excellent starting point to help you put on a guild event that elevates craft beer in your state, shines positive light on your guild’s brand and promotes the guild’s craft brewery member businesses. Potential sources of grants range from state government agencies, departments of tourism and agriculture and small business development centers. Grant amounts can also vary greatly by state. One state guild may receive a one-time $40,000 grant, while another guild could get $75,000 each year from the Department of Tourism by demonstrating how much additional income their beer week brings to local hotels, restaurants and the region. One of the fundamental keys to a guild soliciting and receiving a grant is to demonstrate the economic impact of the state’s craft beer industry. Guilds often contract their state universities to gather data and assemble economic impact statements to demonstrate to elected officials the importance of the craft brewing business in the state. 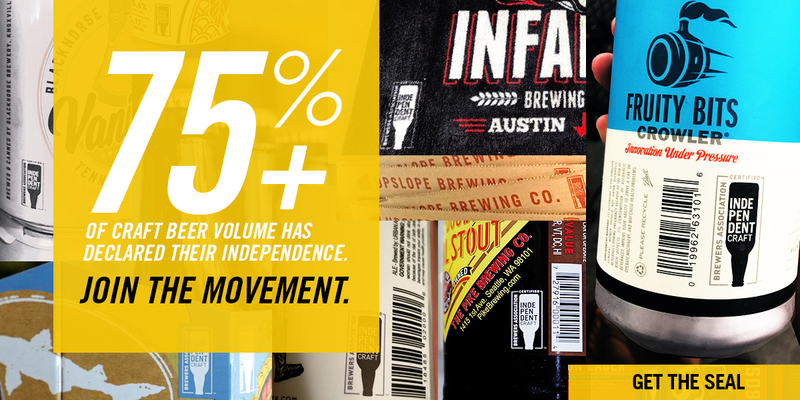 Resources: Statistics, Economic Impact – learn the value of craft beer in your state.